Jax (1-Button) In-Ear Headphones were designed to put great sound and style within reach. The mic + music control works with most Apple and Android devices. 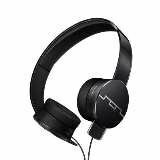 These Sol Republic Tracks HD2 On Ear Headphones deliver high definition music with deep, full bass. 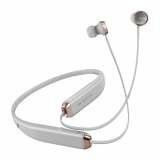 They also have a durable construction with a reinforced cable and comfortable ear cushions so you can take your music on the go without worrying about damage. 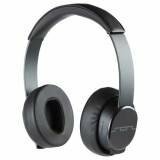 Providing extreme value for money, these Black SOL Republic Tracks HD On-Ear Headphones produce brilliant sound clarity, precise vocals and powerful bass. 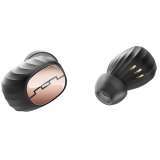 Sporting a stylish design, they fit snugly over your ears for a comfortable listening experience.